The increasing oil exploration activities worldwide are one of the primary factors behind the remarkable growth of the global sour gas market. Sour gas can be naturally occurring in fields or can be produced through the process of reservoir souring, in which hydrogen sulfide is increased or introduced into a reservoir. Natural gas is considered sour gas if it has more than 5.7 milligrams of H2S per cubic meter, which is equivalent to about 4 ppm by volume under standard pressure and temperature. This threshold, however, varies by nation, state, or even organization or application. A case in point is the Texas Railroad Commission, according to which a pipeline is considered sour gas pipeline if it carries gas more than 100 ppm by volume of H2S. The treatment of sour gas before it is made available for commercial use is of high importance. Occupational exposure to H2S in the sour gas industry remains one of the key unresolved issues. The pungent odor followed by keratoconjunctivitis and olfactory paralysis are the characteristics effects of hydrogen sulfide at lower concentrations. Acute central toxicity induced by H2S leads to a reversible unconsciousness known as a knockdown. Prolonged exposure to H2S can also lead to chronic health problems such as cardiac arrhythmia, neurotoxicity, and chronic eye irritation. In recent times, various studies are going on pertaining to sour gas. However, comprehensive researches in the sour gas industry are difficult due to uncertain end points and hazardous exposures. Advancements in technology are expected to pave way for sophisticated processes to treat sour gas, which is likely to act as a light at the end of the tunnel for players in the market. Sour gas constitute about 40% of the world’s natural gas reserves. In some reserves, acid gas composition is very high, thus, such high sour gas concentration needs to be treated before selling it into the market. Hence, more sour gas facilities are required with better capacity and efficiency. Sour gas contains a considerable amount of hydrogen sulfide (H2S), and if the amount of H2S is more than 5.5 mg per cubic meter of natural gas, it is considered as sour gas. The process in chemical plants or refineries in which hydrogen sulfide (H2S) is removed from the gas is called sweetening process. Sweetening results in the recovery of hydrogen sulfide or bringing its quantity to an acceptable range. The odor of the processed gas is improved by removing hydrogen sulfide (H2S), which smells like a rotten egg. The sour gas market is driven by the economic value of the gas, and the process used during the production. Some of the problems faced during sour gas treatment include failure to meet hydrogen sulfide (H2S) specification for sales, solution forming in regenerator, corrosion in pipes and vessels, solvent losses, etc. Sour gas is colorless and highly flammable gas, and is poisonous for animals and humans. 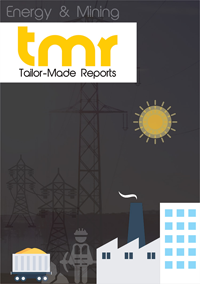 The exponentially rising demand for uninterrupted supply of gas for industries, power generation and other purposes, are a few of the factors that are responsible for the growth of the sour gas market. Removal of acidic gases from sour gas is a costly operation, and the size and cost of the separation depend upon the amount of gas that needs to be separated. Thus, the huge cost associated with equipment and separation process seems to be the major constraint for the sour gas market. Technological advancements and development of efficient and cost effective processes for the separation of acids from gas have opened new avenues for the market players to invest. The sour gas market can be divided on the basis of process: amine gas treatment and selexol process. Amine gas treatment also known as gas sweetening process includes a group of processes that use various aqueous solutions of different alkylamines to remove CO2 and hydrogen sulfide (H2S) from the sour gas. This process is widely used in refineries for the separation at the commercial level, along with natural gas processing plants and petrochemical plants. Amines used in the process are diethanolamine (DEA), diisopropanolamine (DIPA), monoethanolamine (MEA) and methyldiethanolamine (MDEA). Selexol as a solvent separates hydrogen sulfide and carbon dioxide from the sour gas. The selexol process makes sour gas more suitable and stable for the combustion and further process. During the process, selexol solvent extracts the acid from the feed gas at a relatively high pressure, ranging from 2.07 to 13.8 MPa, and can be used for recovering hydrogen sulfide and carbon dioxide separately. The sour gas market can be geographically divided into North America, Asia Pacific, Europe and Rest of the world (RoW). In the North American region, the Gulf of Mexico in the U.S., and Alberta in Canada are the areas with major sour gas reserves. Whereas, Venezuela, Ecuador and Colombia are the countries with major sour gas reserves in South America. The rate of production of sour gas is high in the Middle East countries like Saudi Arabia, Iraq, Syria, Egypt and Iran. Some of the key players of the sour gas market are: Keyera, Spectra Energy Corp., Petro-Hunt Llc., Shell, Pall Corporation, Bechtel Corporation, Newpoint Gas LP, the Dow Chemical Company, and DCP Midstream Llc.